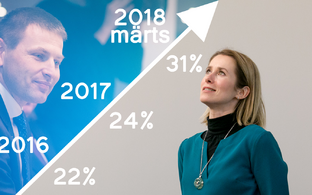 Support for the opposition Reform Party, which rose to a record high at the start of the year, remained high in March as well, while the popularity of the coalition Center Party also saw an increase this month, it can be seen from the results of a survey commissioned by BNS and daily Postimees and conducted by Kantar Emor. "There are no big changes, and all changes remained in the margin of error," said Kantar Emor survey manager Aivar Voog. "The Reform Party is firmly in the lead, and its support is high across all socio-demographic groups except non-Estonian-speakers." 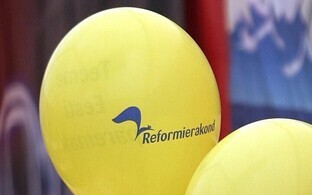 The Reform Party was supported by 34.1 percent of respondents with a political preference in March. In January, their support was 34.2 percent, which is the highest indicator in the past five and a half years; in February, they were supported by 33.5 percent of respondents. 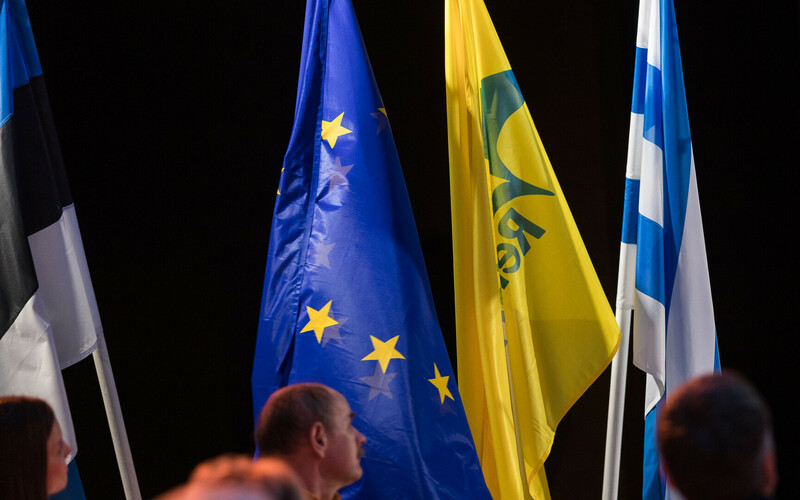 The Center Party was supported by 23.8 percent of respondents in March, up 3.3 percent compared to the previous month. 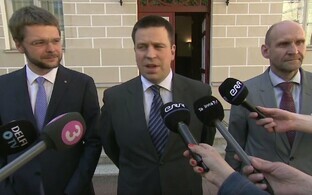 According to Voog, the party's primary supporters include non-Estonian-speakers, residents of the capital city Tallinn and older people. 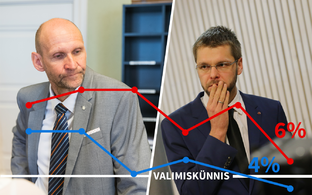 The opposition Conservative People's Party of Estonia (EKRE) remained the third most popular party with 18.3 percent support, largely unchanged from the January indicator of 18.4 percent. According to Voog, the party is largely supported by men, residents of rural areas and people with a below-average income level. The coalition Social Democratic Party (SDE) ranked fourth, with 10.6 percent of respondents supporting them in March. Last December, their support totaled 14.7 percent, falling to 11 percent in January and to 10.8 percent in February. According to the survey manager, the party is mainly supported by younger people, residents of cities and people with degrees. 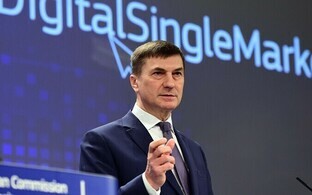 The opposition Free Party's support fell from seven percent in February to five percent in March, while support for the coalition Pro Patria and Res Publica Union (IRL) fell from 6.3 percent to 4.1 percent on month, dropping below the five-percent election threshold. "For the third month in a row, the government coalition's combined rating remains low — below 40 percent," Voog said. In March, the combined rating of the Center Party, SDE and IRL totaled 38.5 percent, up 0.2 percent compared to February and 2.5 percent compared to January. 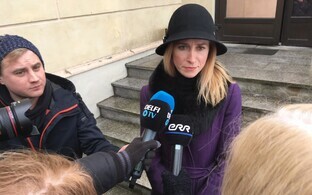 Support for the non-parliamentary Estonian Greens was 3.6 percent, the Independence Party 0.3 percent and the Party of People's Unity 0.1 percent. The answers of the people who listed "no preference" as to party identification were eliminated from the outcome to make it as comparable as possible to the outcome of a parliamentary election held during the survey period. In its March poll, the ratio of such answers was 25.6 percent. From March 8-14, Kantar Emor interviewed 899 voting-age citizens between the ages of 18-74.